Sugar is the main cause of dental decay when bacteria are present. However, the frequency of your sugar consumption is more significant than the amount of sugar you eat. Probably the worst thing you can do to your teeth is to drink a soda and have a sip every few minutes over a long period of time; the same is true for snacking. It is recommended that if you want to have a snack, soda, or juice, it is better to have it after food, as dessert, or have it in one sitting. Eating or drinking something sweet over an extended period of time creates a constant supply of sugar for bacteria that causes tooth decay! It is important to be aware of all the possible sources of sugar out there. It is not just everything that is sweet, but anything that can turn to sugar, like pieces of bread. Cutting down your sugar intake is good for cavity prevention, as well as your general health. 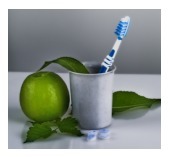 Is there any kind of food that prevents tooth decay? Well, not really. Some people believe that chewing foods like apples and carrots may have some plaque removal effects, but they still contain some sugar, so any advantage is not clear. Another group of food that causes significant damage to teeth structure is acidic food. If in frequent contact with teeth, things like limes, lemons, and grapefruits can cause serious irreversible damage (erosion) to your teeth. If you live in or around Union City, don’t hesitate to call us with your oral health questions. Want to learn more about dental services in Union City? For questions or more information, please contact our office at 510-431-5399 or schedule an appointment online.